This week a British road haulage firm was involved in what is technically a reverse takeover. Boring? Not when a cultural icon like Eddie Stobart is involved. We look at the business realities behind the brand that turned trucking into a motorway fashion show. Eddie Stobart is a very English organization with amazing brand recognition. Even more remarkably, that status has been achieved largely not by customer satisfaction, but by non-customer satisfaction. The haulage firm has established itself in the affections of the public by an unrivalled charm offensive. Edward Stobart Jnr took over his father’s haulage business delivering agricultural products to Cumbrian farmers. The firm grew, and Eddie’s imaginative leadership style created a unique business. For example, he personalized each of his trucks with a female name starting with the then super-model Twiggy, and following up with the musical pop idols of the day (Tammy, Dolly and Suzi). Eddie’s business values required trucks and drivers to present shiny clean appearances. As time went by Eddie Spotting became a Motorway pastime. Children kept notebooks with the details of the times they had caught a glimpse of Tammi or Twiggy. A cult was emerging. Since 2002, ES has remained a fantasy company in the public eye, symbolized by the thousand or so A-list celebrity models cruising up and down the motorway catwalk. But there was another and hidden side to ES. Fans are generally avid for every detail of what lies behind the glossy exteriors of their fantasies. The ES fan club members were content to tick the boxes, buy the merchandise, watch the TV animation (‘Steady Eddie’). They were not interested in the commercial story behind the fantasy. The trucks were struggling to pay their way. For all the brand recognition, trucking is part of that modern notion a supply chain. And in the retail supply chain, the profit carve-up leaves big retailers with the lion’s share of the goodies, with the worker ants well down the food chain. Truckers are down there with the worker ants, producers and beasts of burden. Less metaphorically, the transport business is at risk from uncontrollable costs, including fuel. As fuel prices rise, so truckers struggle to remain profitable. The owners of those glossy trucks began to look for ways of transforming the business. By the turn of the [20th] century, the Carlisle-based company had a fleet of about 800 trucks, a massive property portfolio and a turnover of some £150m. But although the company was at its peak in terms of size, it made its first loss in 2001 in the face of rising fuel prices, a shortage of trained drivers and tougher demands from its customers. Now ES is heading for a stock market quotation. The deal is expected to be legally confirmed by Westbury later in the year. Overall, the case will offer considerable insights into the outcome of a strategy claimed to be one that will protect and transform a much-loved brand. Beyond that, the story promises more twists and turns. 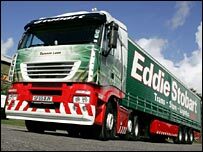 Will the unique branding of the former Eddie Stobart operation have much value in a few years time? Whatever happens, professional investors will take care to distinguish the fantasy from the financials. Eddie Stobart has created a discrete community of fans whose relationship with the brand has absolutely nothing to do with its core business (and probably never will), and may have little provable impact on the bottom line. But they encourage and support it any way. And it feels like a good thing. So are there other examples of brands who have done something similar? It’s not similar in one respect, but I mention it anyway. Once there was another British icon on the pre-motorway roads. The firm always had immaculate vehicles and smartly-dressed drivers who saluted. It expanded mightily from its origins. It was the Royal Automobile Club later known as the RAC. It is still a fine organization. Competition and change, however, have also hit the RAC. Do its drivers still salute? Like ES, the RAC was forced into diversification, cross-selling and all that stuff. It is now part of a large insurance group. Its main rival, the AA, has fallen into the hands of a private equity organization. I am heading East. Next Monday I check out of a room in the West Wing and relocate across the road. ‘One small step for man …’ . Some colleagues have already made the Eastern voyage; others are travelling in the opposite direction. Only a minority will remain in situ . Margaret who has worked with me for a few years tells me this is her ninth move, quite a few on the East-West shuttle run. Her former office is next to the one I shall be leaving. It is at the moment stripped of all evidence of prior human habitation. Mine is stuffed to the gunnels with boxes of books, files, plastic bags, stationery no one wants any more, metal shelving (ditto), table and chairs (staying), work station (going). At first I thought it would be easy. 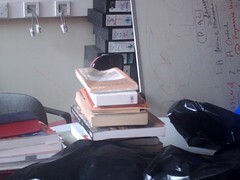 One pile of boxes (to go); the rest to be dumped. Several factors stilled my hand. One is the old injunction about throwing away something of value. There’s a lot of stuff here which other people would like to have. Glenis downstairs has a nearly full container of books for sending to various places around the world. Some books add to the consignment Now, what about local schools? Surely the residual stationery? All those nearly-new box files? The Puritan wins out over a few items, then eventually concedes to the economist muttering about transaction costs. The ego barrier turns out to be even more significant. There’s part of me that has to accept that in the wider scheme of things, the person most likely to care about over thirty years of residues of a work life is myself. But ego is not as easily quieted. ‘There’s a archive in that office’. An archive with memorabilia of celebrated business leaders and pioneers of organizational theory going back over thirty years. Well, I am obviously in denial. As long as I’m typing, (uncomfortably. Chair displaced from its normal place), I’m not making any more decisions, even tiny ones. Soon I’ll be able to persuade myself it’s time for lunch. At some point, a moment of awareness. The main thing worth preserving is my fragile sense of … [go on, say it] sanity. There. That didn’t hurt much did it? Where’s the black plastic bag provided for packing that? I pass over to the other side. Watch this space. HBOS changes: Too little, too late? This week saw a little-heralded leadership change in the retail division of the financial giant HBOS. When a bank changes one or two members of its management team, it does so to reassure investors of continuity as well as to signal change. Has HBOS been too complacent over its business environment? Are the changes too little, too late? HBOS has announced a revamp of its retail division, including the departure of its head Benny Higgins … finance director Phil Hodkinson will [also] retire at 50 next year, and will be replaced by a former incumbent, Mike Ellis …”The structural changes we have introduced in our retail business are right for the group,” said chief executive Andy Hornby. Mr Higgins, who moved from Royal Bank of Scotland last year to head the retail unit, will leave HBOS at the end of 2007. [CEO] Mr Hornby told the Reuters news agency that Mr Higgins’ departure was not related to a recent 8% drop in profits at the retail unit. The business was hit by a sharp drop in its share of mortgages earlier in the year after a new pricing strategy went wrong, although the bank says its share has since recovered. Banks are as prone to jolts and change as any other business. Arguably they have become as accustomed to dealing with change as companies in many other business sectors. Their corporate advertising increasingly seeks to present images of innovative and dynamic set-ups. Yet, they also work hard at maintaining a corporate image of stability and reliability. Which just goes to show that effective creativity in advertising can be pretty challenging. How would you send out a convincing signal that you are reliable and adventurous, dynamic and prudent? I think of HBOS as an abbreviation for two big names in Banking after a recent merger, namely the Halifax and Bank of Scotland. Wrong. The (usually) reliable Wikipedia tells me it is an Initialized name. We shouldn’t connect it with some earlier entity or entities. Same with ICI. Not Imperial Chemical Industries. Anyway, that’s going to be another story. Let’s just say that what is now HBOS used to be the Halifax Building Society of Halifax, Yorkshire, and The Bank of Scotland of Edinburgh. Earlier this year the bank announced satisfaction with its profits. CEO Andrew Hornby said HBOS was optimistic about the UK economy and growth in its main markets, and that the UK business environment was “generally benign”. AS it turned out, the HBOS retail business environment was to prove far from benign. Over Christmas 2006 there had been unfortunate publicity for the bank’s role in the sad tale of the collapse of Farepak. In 2007 it became clearer that the shared business model of the retail banks was failing. This relied on offering ‘free’ retail banking, partly subsidised by high charges for non-agreed overdrafts. HBOS faces substantial losses. It also proved non-competitive in mortgages, and failed in its retention strategy. In 2005, CEO Andy Hornby was assessed as one of the FTSE’s ‘power players’ for among other things being remunerated with ‘biggest directorship’ of the FTSE 100 at around a £ million sterling for his HBOS responsibilities. The young city high-flier was a former Blue Circle and Asda executive, and could take credit for his part in steering through the merger successfully. The deal was a coup for The Halifax. However gently the merger was presented, Halifax emerged with the better hand. Hornby became its CEO, and Lord Dennis Stevenson (another Halifax man) became Chairman of the new company. 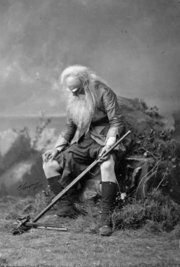 The Bank of Scotland had recently lost out in several take-over bids, including its wooing of National Westminster Bank, when it had lost to its bitter rival, the Royal Bank of Scotland. Perhaps researching this blog has made me over-sensitive to leadership battles. But the story leaves me with just that suspicion that there is more to unfold. Has HBOS been complacent over its business environment? The kindest that can be said was that it did not rush into hasty action recently. More unkindly, maybe it could be accused of being too reactive. I haven’t picked up the signals of stakeholder discontent that indicate real ‘trouble at the top’. No comments about excessive remuneration packages. But those city analysts have already sent out signals suggesting the business environment is not as benign as HBOS would like it to be. I have a very small shareholding in one of the group’s financial products. I’m not planning on selling. I’m not planning on acquiring any more either. And maybe there will be a business case to invest in, written on leadership style and proactivity.